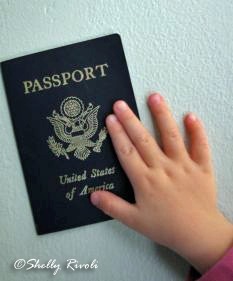 Don’t be surprised: Your child may need more than a passport when traveling internationally. I recently saw a post from a parent who had been caught off guard traveling internationally with her children–and without the other parent. Like many parents planning solo travel with their child, she thought the passports were enough and had no idea she would need an extra document–a notarized “letter of consent fora minor to travel”–from the other parent in order to take her own child(ren) out of the country. Even if you are only traveling between the U.S. and Canada. Also when a child will travel across borders with grandparents or other adult escorts (technically even a step parent traveling with one of the child’s birth parents). And if the child’s last name is different from one or both parents? Even a hyphenated variation as we are so fond of in the U.S.? You may also need some sort of “bridging document” to help clarify that you are indeed the birth parent or parents of your child when crossing the border. Most commonly, a notarized or certified copy of a birth certificate listing both parents’ names will do the job. Here is a sample letter of consent you can customize and have notarized if needed for your child’s next international trip. As you can see, it’s pretty simple and straightforward, and it includes a clause giving permission to the “trip custodian” to authorize any necessary routine or emergency medical treatment during the trip—which is especially recommended when a child will be traveling without either parent (eg. with the grandparents). [LIST ALL AIRLINES AND FLIGHT NUMBERS, CRUISE LINES, TRAIN NUMBERS, OR STATE “BY AUTOMOBILE”]. In addition, I/we give permission to [NAMED ADULT TRAVEL COMPANION(S)] to authorize any necessary routine or emergency medical treatment for our child(ren) during this trip. 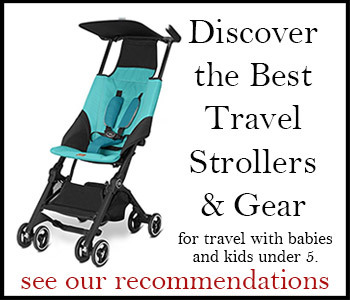 For more help planning travel abroad with young children, see Chapter 7: The Baby Abroad in Travels with Baby: The Ultimate Guide for Planning Trips with Babies, Toddlers, and Young Children. Ask Shelly: Cruise to Bahamas without a passport for a 2-year-old child? Photo Fave: Have I mentioned traveling with me is exhausting? Flying with a toddler? Beware of airplanes with airbags.